In Rewire, O’Connor expands those ideas, showing how we actually have two brains—a conscious deliberate self and an automatic self that makes most of our decisions—and how we can train the latter to ignore distractions, withstand temptations, and interrupt reflexive, self-sabotaging responses. Free simpleology 101 course: the simple science of getting what you want. A complete collection of practical, easy-to-develop habits sure to get you paid what you're worth in today's competitive marketplace. Presents a holistic, integrated, principle-centered approach for solving personal and professional problems. Tharp leads you through the painful first steps of scratching for ideas, finding the spine of your work, and getting out of ruts and into productive grooves. 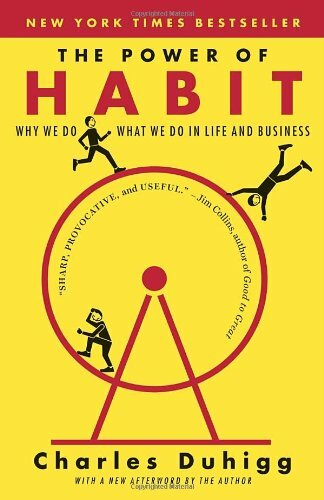 This book helps readers assess their habits and proceed to dismantle them. Change Your Habits the Easy Way…AUTOMATICALLY! The MotivAider® is an ingeniously simple electronic device that lets people of all ages quickly, easily and privately change their own habits. Harnessing the Power to Establish Routines that Guarantee Success in Business and in Life.